Photos by Alessandro Imbriaco & Noah Addis. Text by Aaron Rothman. SlideshowNoah Addis, New Homes; Asociación Los Ángeles de San Antonio Settlement, Lima, 2010. SlideshowNoah Addis, Lot Lines; Asociacion Los Angeles de San Antonio Settlement, Lima, 2010. SlideshowNoah Addis, Home at the top of Cerro San Cristóbal, Lima, 2010. SlideshowNoah Addis, Rebuilt Home #1; Lallubhai Compound, Mumbai, 2011. SlideshowNoah Addis, Golibar Slum Rehabilitation #1, Mumbai, 2011. SlideshowNoah Addis, Lallubhai Compound #1; Mankhurd, Mumbai, 2011. SlideshowNoah Addis, Lallubhai Compound Eviction #1, Mumbai, 2011. SlideshowNoah Addis, Water pipeline, Bandra, Mumbai, 2011. SlideshowNoah Addis, Home #1; Qarafa Bab Al Nasr, Cairo, 2012. SlideshowNoah Addis, Old Cairo #1, 2012. SlideshowNoah Addis, Nakhalpara, Dhaka, 2013. SlideshowNoah Addis, Paris Road; Mirpur, Dhaka, 2013. SlideshowNoah Addis, Market; Mirpur One, Dhaka, 2013. SlideshowNoah Addis, Naucalpan #1, Estado de México, 2012. SlideshowNoah Addis, Naucalpan #3, Estado de México 2012. SlideshowAlessandro Imbriaco, untitled, from the series Metropolitz. The global trend toward urbanization is at once a crisis and an opportunity. Urbanization can drive economic progress and social mobility, and has the potential to limit the environmental impact of population growth. However, many rapidly growing cities have been unable to meet the basic human needs of huge numbers of people. Nearly one-sixth of the world’s population lives in urban slums: unplanned, informal settlements, often located in precarious environments, uniquely vulnerable to climate change, weather disasters and political instability. Here they improvise some kind of shelter and community for themselves. In this slideshow, we present two photographers whose work compels new understandings of these makeshift metropolises and the people who live there. 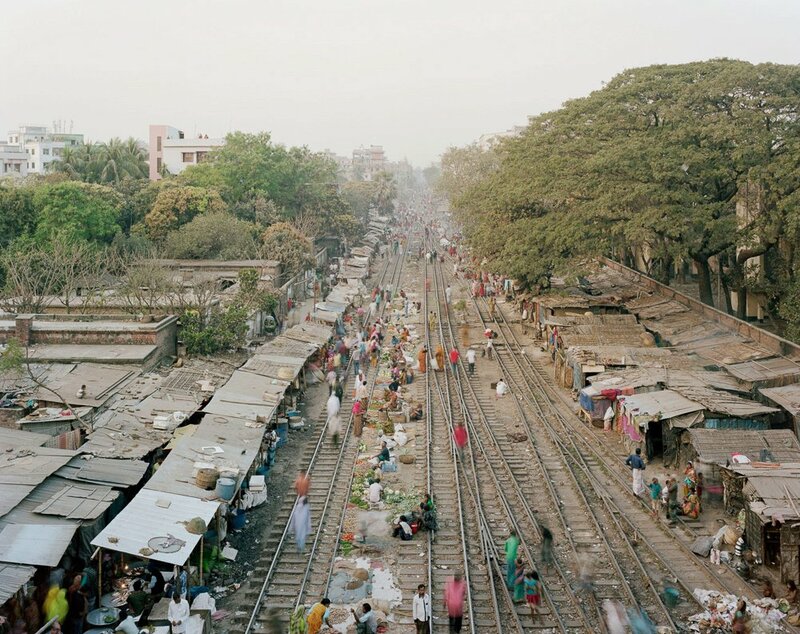 Noah Addis is a photographer based in Columbus, Ohio, whose ongoing series Future Cities documents unplanned urban development and squatter communities in cities including Mumbai, Lima, Dhaka, Cairo and São Paulo. Addis shows us the structures and infrastructures of informal communities in radically different parts of the globe, noting the many similarities between them. 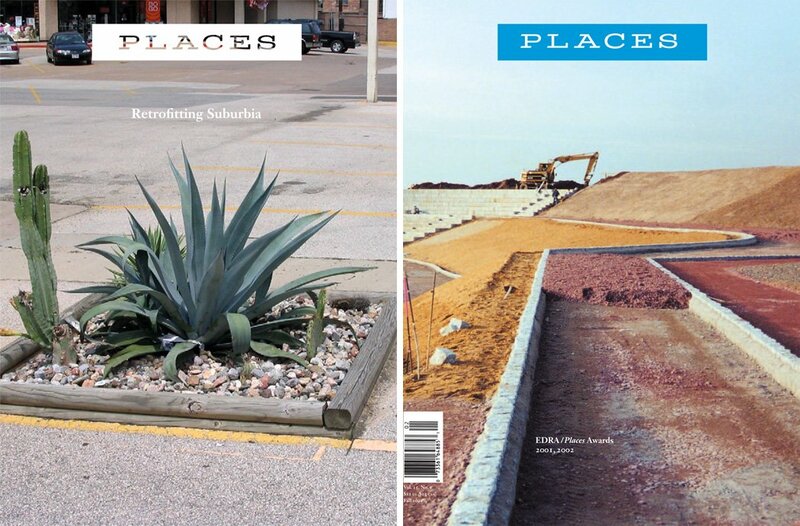 We see in particular the ways in which temporary structures accumulate to form neighborhoods. Addis frequently steps back to survey the landscape, and his images convey the scale of the settlements and how they integrate into their surroundings. One photo shows a grid marked out on a sandy, barren hillside outside of Lima — a nominal gesture of planning for a neighborhood of huts built with woven plants and plastic tarps. Another image shows a Mumbai street lined with concrete apartment buildings; we see the activity on the street and balconies, but our eyes are drawn to the hazy, endless distance. Other photos take a closer view of individual homes: shacks thrown together from political signs and old blankets, structural additions that seem to defy gravity. In contrast to the sense of enduring solidity we expect from cities, these places seem barely held together, ready to collapse at any moment. And yet Addis’s photographs are imbued with diffuse light and soft colors, easing the bleakness of his subject matter and allowing the viewer to appreciate the evident ingenuity and determination. Alessandro Imbriaco, a photographer living in Rome, takes a more personal look at the lives of people in squatter communities. For his series Metropolitz, Imbriaco photographs a community of immigrants — all from the same small Romanian town — who have built individual family homes within the walls of an abandoned factory on the outskirts of Rome, where they survive by selling scrap materials. Here again, we see provisional structures cobbled together from salvaged materials. But Imbriaco also shows us the individuals living here, revealing each building as not just a shelter, but a home. The details convey a familiar sense of domesticity — a young girl sitting at a desk, a pot on the stove for dinner, children’s shoes haphazardly thrown by the door, a painting of flowers on a lavender wall. But the images hold us at a distance, too. This is partly because Imbriaco doesn’t fully invade the interior of his subjects’ homes, instead opting to give us glimpses of their private spaces through open doors and windows. There is also a strangeness that comes from recognizing these houses as structures within a larger structure. Surrounded by the dark post-industrial setting of the abandoned factory, Imbriaco’s subjects seem stuck in a permanent night. The viewer is positioned inside the factory shell, but outside the dwellings, stranded in an indeterminate space that produces a sense of dislocation, perhaps similar (in some small way) to how these immigrants feel in their adopted country. Imbriaco shows a struggle to make a home that is easy to empathize with, but his photographs also reveal a deep chasm between the lives he documents and the lives of the people likely to view his photographs. Noah Addis would like to acknowledge the Independence Foundation and the George A. and Eliza Gardner Howard Foundation, which provided funding for Future Cities.Addis’s work with the Marcellus Shale Documentary Project will be at the Palmer Museum of Art at Penn State University from September 23 to December 14, 2014. The global struggle for housing as a human right emphasizes the relationship of secure housing to personal dignity and full citizenship. Alessandro Imbriaco is a photographer whose work focuses primarily on urban landscapes and alternative ways of living in cities. Noah Addis is a photographer based in Columbus, Ohio, currently working on two major projects, one on informal settlements and unplanned growth in the world’s major cities and the other on how the Colorado River has affected the development of the American West.